Our Los Angeles DUI blog reported several weeks ago on a very sad case out of Diamond Bar: 21-year-old Olivia Carolee Culbreath caused a crash on the 60 Freeway early February that killed six people. Last week, the young woman went to court to answer the judge’s questions – she will be arraigned on May 21. 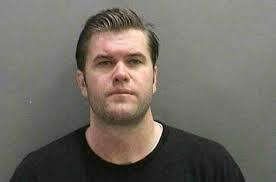 Before causing the awful wreck, Culbreath had been convicted of a DUI in San Bernardino County and cited for traffic violations on two other occasions. 17 separate witnesses said they had seen a driver barreling down the 57 and 60 Freeways going the wrong way, just before the collision. Witnesses said that Culbreath was traveling in excess of 100 miles per hour. The crash involved Culbreath’s vehicle and two other vehicles. All told, there were only two survivors from the awful wreck – Culbreath herself and Joel Cortez, the driver of one of the other vehicles. Two of Culbreath’s passengers — 21-year-old Kristin Melissa Young, and Culbreath’s sister, 24-year-old Maya — died in the crash. Four people driving a Ford Explorer involved in the crash — Gregorio Megia-Martinez, Leticia Ibarra, Jessica Jasmine Mejia, and Ester Delgado — all died. 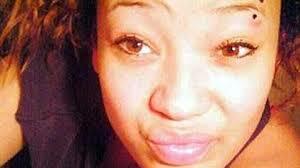 Culbreath herself suffered serious injuries, including a ruptured bladder and a broken femur. She is being held on a $6 million bail, and she faces life behind bars. As the judge asked her questions, she allegedly “softly answered” and “did not look towards her family.” Her family members were said to be “disheartened – an obvious reaction, given that one sister had been killed and the other faces a life prison sentence. Culbreath had to be wheeled into the courtroom on a stretcher, because she still cannot walk due to her injuries. Obviously, Culbreath’s case is extreme – fortunately, most DUI incidents do not lead to such horrific results. However, if you or a loved one did get into an accident while under the influence of drugs or alcohol, you could face vehicular manslaughter or murder charges, depending on your past and what happened during the event. For help defending against your Los Angeles DUI charges — whether you face vehicular manslaughter or much less serious charges — please turn to attorney Michael Kraut of the Kraut Law Group for a free, confidential consultation. If you’ve been arrested on a Los Angeles DUI charge, odds are that you’re probably facing a relatively minor (but still serious) charge, such as misdemeanor DUI. If your case is extreme – for instance if you hurt someone – you might face a felony. This is a very serious charge that can lead to over a year behind bars. However, unless your situation is very intense, you probably won’t face a first degree murder charge. 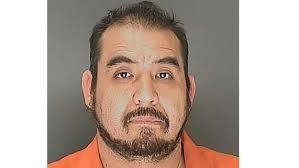 Not so for Ever Olivos-Gutierrez, a native Mexico living in Colorado, who hit and killed a man last Monday morning. Authorities say Olivos-Gutierrez ran a stop light and smashed his Ford Expedition into a Chevy Camaro driven by Juan Carlos Dominguez-Palomino, killing the 17-year-old on the scene. Olivos-Gutierrez then fled the crash, but police tracked him down. Per the arrest affidavit, he tested over four times the legal limit for DUI. Prior to the fatal crash, Olivos-Gutierrez had been arrested multiple times on DUI-related charges and other traffic incidents. Approximately half of his arrests and offenses happened when he was living in the United States illegally – he never had a Colorado driver’s license. Authorities say that his fatal wreck last week mirrored a similar crash in September 2008, when an illegal immigrant named Francis Hernandez hit a pickup truck while DUI — driving 80 miles per hour — on a street in Aurora. The force of the accident thrust the truck into a nearby ice-cream shop, where it killed a 3-year-old boy and two women who had been eating inside. Recently, in California, our Supreme Court decided to give the green light to prosecutors to pursue DUI murder charges – also known as Watson Murders. This charge is a second degree murder charge, and it can be punished by up to life in prison. Part of what makes this charge particularly strong is that it contains an element of what’s known as “implied malice” – i.e., the driver clearly understood the dangerous risks of his actions but engaged in bad behavior anyway and then killed somebody. After you have been convicted of a DUI, you need to sign a statement known as a Watson Advisement that acknowledges that you understand how dangerous DUI driving can be. For help unpacking your Los Angeles DUI defense, connect with attorney Michael Kraut. Mr. Kraut is a former prosecutor (Deputy District Attorney). He has appeared on Good Morning America and written in the Los Angeles Times and The New York Times about DUI cases in the news. We recently reported on a horrifying Los Angeles DUI story: 21-year-old Olivia Carolee Culbreath allegedly caused a three car accident in Diamond Bar, which killed six people. California Highway Patrol authorities say Culbreath had been driving in excess of 100 miles per hour, when she crashed her 2013 Camaro on the 60 Freeway while driving the wrong way. It turns out that Culbreath has a checkered driving history. 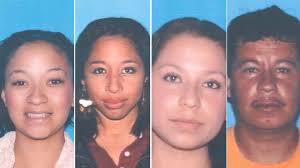 In April 2010, a San Bernardino juvenile court convicted her of DUI in a previous incident. Before she got her license reinstated in December 2011, officers hit her with two other traffic violations. The California Department of Motor Vehicles says the DMV had lifted Culbreath’s license restrictions just a week before the awful, fatal wreck. In California, certain DUI cases that lead to death can be prosecuted as “Watson Murders.” This charge is the equivalent of second degree murder. If convicted, you face a severe sentence – up to life behind bars. The prosecution must hit a high bar to achieve a conviction. It’s rare for prosecutors to charge someone with a Watson Murder. The majority of these cases involve people who have been convicted of DUI previously. After you are convicted of a DUI, you must sign a statement — known as a Watson Advisement — in which you acknowledge that you understand that driving DUI can cause people to die. Prosecutors must also prove that you had “implied malice.” This basically means that you knew the harms of DUI driving, yet you decided to drive DUI anyway; and then you killed someone while behind the wheel. Whether you face an egregious charge, like Los Angeles DUI manslaughter or murder; or you face a more minor (but still anxiety producing) charge, like misdemeanor DUI, the team here at the Kraut Law Group can provide thorough, sensitive assistance.